express our love, or defend our boundaries. The healing power of touch has been intuitively known to people since the earliest times. depicting the rhythms and cycle of life. 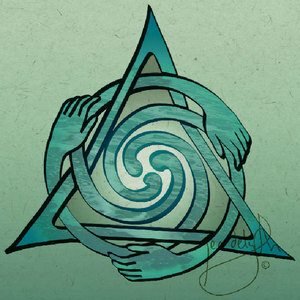 The three pointed triangle balances and focusses the flowing energy spiraling around and through the center - and out into the world.- the Healers touch.